SCOTTSDALE, Ariz. – Jan. 2, 2018 – Barrett-Jackson is opening up the throttle to drive charity donations during its 47th Annual Scottsdale Auction, January 13-21, 2018, at WestWorld of Scottsdale. Rare and highly coveted vehicles set to cross the block for charity include the first production 2019 Corvette ZR1 (Lot #3009), the first retail production 2018 Corvette Carbon 65 (Lot #3007) and the first current-generation Ford GT (Lot #3010) that has been donated to be auctioned for charity. In addition, Carolyn and Craig Jackson have donated their personal ’88 Chevrolet Corvette 35th Anniversary Edition (Lot #3008) to kick off Barrett-Jackson’s yearlong initiative, “Driven Hearts,” to raise money and bring much needed support to the American Heart Association. The Barrett-Jackson Scottsdale Auction’s charity vehicles will include some of the most coveted vehicles on the planet, including the first production 2019 ZR1 Corvette (Lot #3009) featuring a new hand-assembled LT5 small block 6.2-liter supercharged V8 engine. Because Barrett-Jackson waives all fees on charity vehicles, the entire hammer price will benefit the Stephen Siller Tunnel to Towers Foundation. Also crossing the block will be the first retail production 2018 Corvette Carbon 65 Z06 Coupe (Lot #3007). One of only 650 Carbon 65 Editions produced, it is powered by a 6.2-liter supercharged V8 engine and automatic transmission with 100 percent of the hammer price benefiting the George W. Bush Presidential Center’s Military Service Initiative. A 2017 Ford GT (Lot #3010) is the first current-generation GT that has been donated for charity and entire hammer price will benefit the Autism Society of North Carolina’s IGNITE program. 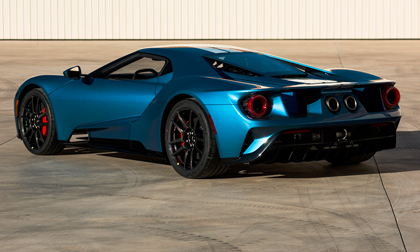 Donated by businessman Ron Pratte to the Evernham Family-Racing for a Reason Foundation, the Ford GT couples its extraordinary power with impressive aerodynamic efficiency, making it the fastest Ford production vehicle on the track ever. Carolyn and Craig Jackson’s 35th Anniversary Edition Corvette (Lot #3008) is one of just 2,050 built, featuring a 5.7-liter engine with automatic transmission and the Z01 option. As part of Barrett-Jackson’s yearlong charitable initiative, “Driven Hearts,” to increase awareness and improve heart health, 100 percent of the hammer price will benefit the American Heart Association. In addition, Ford Motor Company will have an exciting new vehicle (Lot #3006) to be revealed at the auction, the sale of which will benefit another worthy cause.